Weather Mostly cloudy throughout the day and breezy starting tomorrow morning, continuing until tomorrow night. 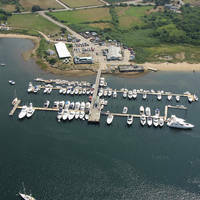 Viewed above from the inside out, Shinnecock Inlet is the last navigable inlet on the eastern end of Long Island on its south shore. Shinnecock Inlet was created in a 1938 unnamed hurricane that opened Shinnecock Bay to the Atlantic Ocean, eventually creating an important north-south route to Great Peconic Bay with the opening of the Shinnecock Canal. Inside the inlet, the water opens up into Shinnecock Bay, which leads east and west with several different creeks and gunkholes ripe for exploring and investigation. 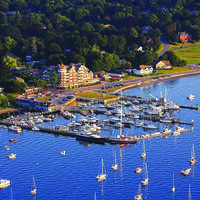 Marinas are fairly numerous, and most of them can be found in our further inlet and marina pages via the large map search function. 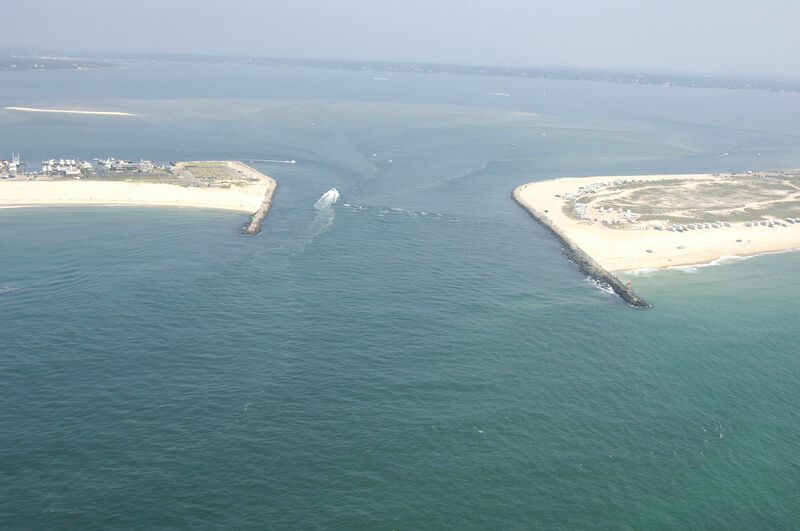 Although Shinnecock Inlet is quite dynamic and constantly shifting, depths in the frequently changing channel are navigable when the boater is armed with the right information. 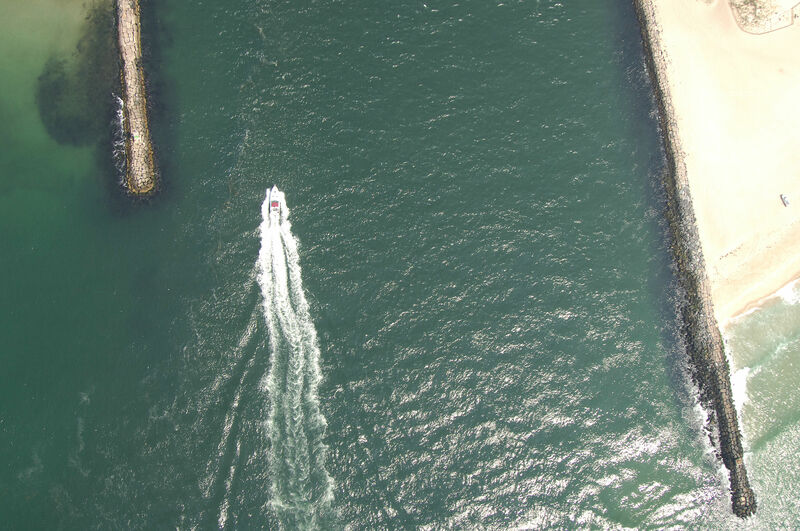 Depths in the inlet between the breakwaters ranges from seven to ten feet, and markers are moved frequently to reflect the areas with the best depths. 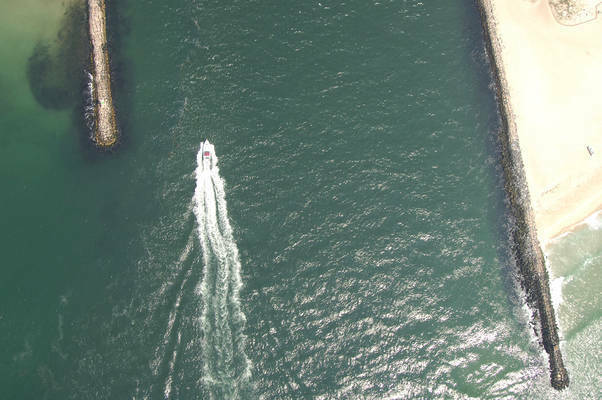 From the Atlantic Ocean, pick up red and white Morse (A) buoy SH, about a mile and a half south of the inlet breakwaters. From here, set a course for flashing green 1 and flashing red 2, which mark the west and east breakwalls to the inlet, respectively. Once you have cleared the inlet, you have a choice of proceeding to the west toward Punquogue up a fairly shallow channel, or north into Shinnecock Bay. 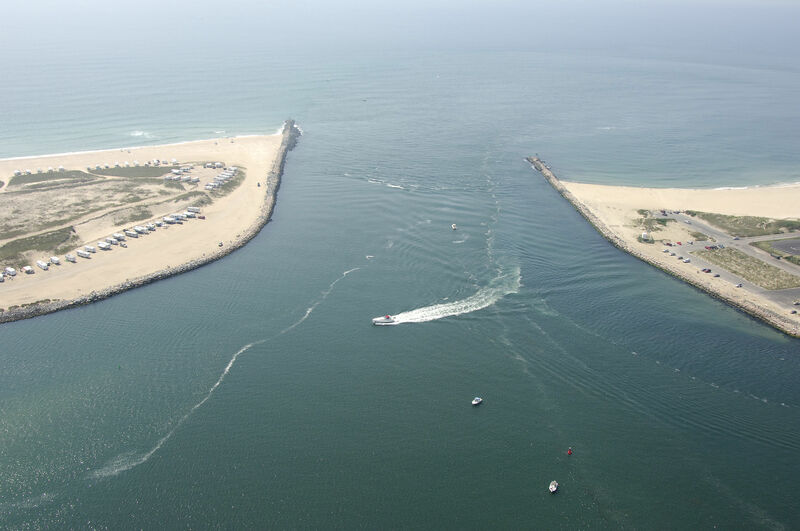 If you are unsure about any portion of your trip, radio or call ahead to one of the marinas in Punquogue, which is just inside the inlet to the west. No reviews yet! 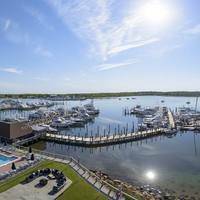 Be the first to write a review of Shinnecock Inlet.